Please take a few minutes below to fill out this short questionnaire. 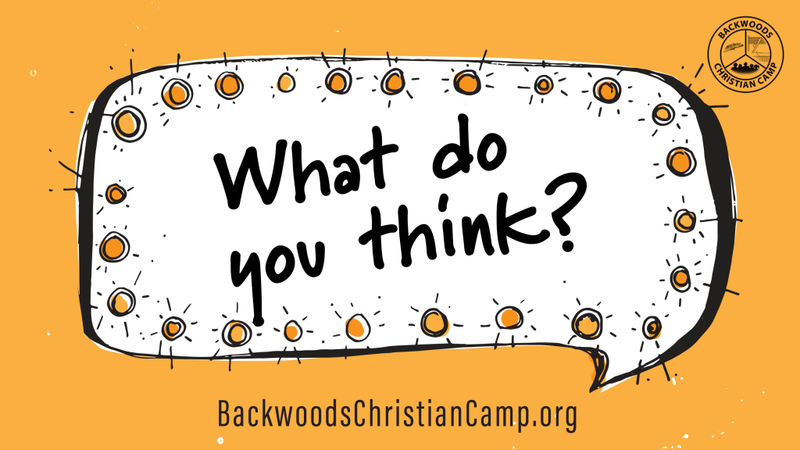 Your answers help us shape future sessions and help others understand what makes Backwoods so great! How many years have you attended BCC? Finish this sentence: "Backwoods is . . ."
What has Backwoods done to shape your life? What would you tell someone to convince them to come to Backwoods for a week?